Malayalam Megastar and one of the most prominent citizens of India, Mammootty was denied entry to America when he reached JFK airport at New York on April 29. He was kept in custody by the US Homeland security for two hours, before the Indian Consulate in New York intervened and took him away. For some bizzare reasons, Mammootty was briefly "Separated for questioning and grilled" by US Homeland security. 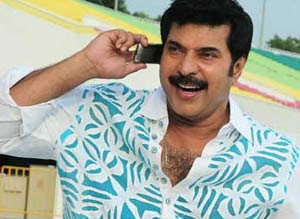 In his passport Mammooty’s name is Mohammad Kutty Ismail Paniparambil. The buzz is that those who land in US with the name Mohammed Ismail are detained, and questioned at length, though no official reasons are given for it. Mammootty was in US at the personal invitation of his childhood friend from Chembu near Vaikkom in Kerala, Stanley J. Kalathara, an attorney and a Democratic candidate for the New York City Council from District 25. He has been a leading attorney for the past 25 years and had organized several fund raisers for elected officials notable among them being for Hillary Clinton. Mammootty had come to campaign and raise funds for Stanley who is contesting for the New York City Council among the Malayalee immigrants settled in the New York burroughs of Queens, Long Island and New Jersey. Remember Mammootty has a huge fan following in US, and is perhaps the best known Malayalee in the world. If this is the kind of treatment meted out to one of our living legends, what are the people in Ministry of External Affairs in South Block in New Delhi doing?